I have a triple boot system on the other end of the house from my main rig. I know this isn't currently possible, but is there any way it could be in the future? I'd like to be able to reboot from one OS to another via KVM. But, of course, Multi. isn't loaded yet when I see the OS choice screen. Is it even in the realm of possibility for a future version? I have forwarded your report to the Stardock support team for their review and recommendations. Please keep an eye on this thread for any updates. It is not possible for Multiplicity to be running before Windows has loaded. 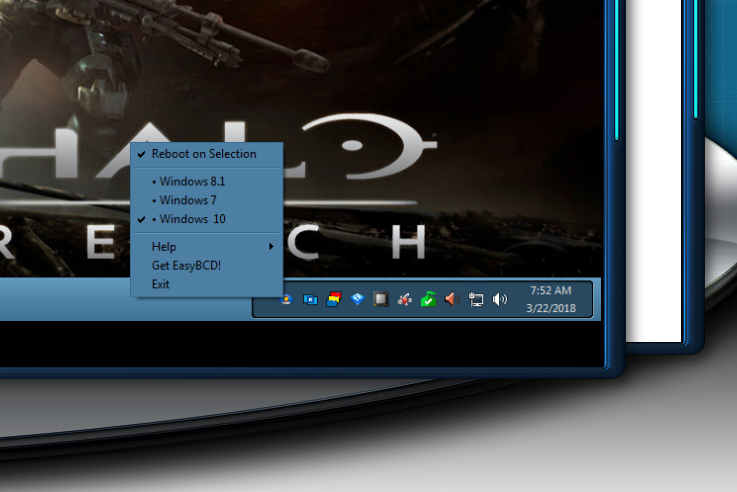 Multiplicity does work from the logon screen, but that is as early as it could be supported. Neil, how about adding the same function as I get from iReboot? I know iReboot does it for me, but it would/should be easy to incorporate the function into a software that I already use. Keep in mind that I'm doing this via KVM from the other end of the house. This way, I can change to a different OS without having to be there to choose the needed OS. I prechoose which to boot to. If Neosmart can do it, I'm sure Multi could as well. Surely I'm not the only one who would benefit from this feature?